DW Windows install quality double glazing solutions throughout The West Midlands. With our head offices in Coseley we are only a short drive away from Birmingham city centre. From Edgbaston to Villa Park, our knowledge of Birmingham properties is detailed and extensive. Our installers are often working on projects across the city and they are passionate about improving the living standards of all our customers. Founded in 2006, DW Windows have quickly become established as one of The West Midland’s leading double glazing installers. We offer a wide range of uPVC windows and doors, from the latest in composite door technology to the modern uPVC version of the classic sliding sash window. 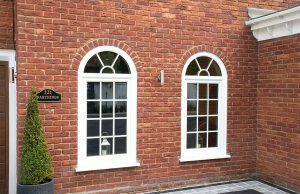 We are the company to choose for double glazing in Birmingham. As the UK’s second largest city, Birmingham is the industrial and economic hub of the West Midlands. With the best motorway links in the whole of the UK, Birmingham is a popular and thriving commercial centre. In recent years, Birmingham residents have benefited from an increase in property prices. Many homeowners are investing in their homes with a range of home improvement projects. From the multitude of post war properties across the city to the older Victorian terraced houses built during the Industrial Revolution, we’re likely to have carried out an installation on a property near you. Whether you live in a modern apartment in the heart of Birmingham or one of the area’s many Victorian terraced properties; a property upgrade could be for you. Our extensive local knowledge makes us the best people to complete your home improvements with style and professionalism. During the 21st century Birmingham has undergone a transformation. With the redevelopment of the Bullring Shopping Centre and extensive regeneration projects involving older properties, streets, and canals; Birmingham is now one of the UK’s most desirable cities. Birmingham’s Jewellery Quarter is the perfect example of the city’s combination of industrial past and modern future. New build apartments sit next to traditional properties throughout the area, giving residents a wide choice of property styles. This is mirrored across Birmingham, with the balance between new and old adding character to the city. Our specialist knowledge makes us industry leaders when it comes to double glazing installations. 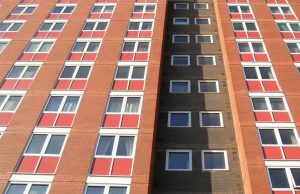 For double glazing in Birmingham we won’t be beaten on the standard of our work and quality of our installations. We use only the best quality products and all our installers are qualified and committed to their work. If you live in Birmingham and want to find out more about our products and services, get in touch. There’s always a member of staff who’ll be happy to assist with all your enquiries.